The leadership team has been effective in improving the quality of teaching in reading, writing and science. Consequently, pupils are making strong progress in these subjects. Standards have continued to rise. Below you will find our latest attainment data, compared to Hampshire averages and National averages (2017-18). We are very proud of the hard work that the staff and pupils have put in to achieve so well. 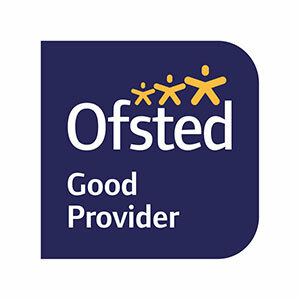 At the end of Key Stage 1 (Year 2) pupils are typically assessed as either ‘Working Towards the Expected Standard’, ‘Meeting the Expected Standard’ or ‘working at a Greater Depth within the Expected Standard’. This is then declared for Reading, Writing, Maths and Science. We use our flexible and individual curriculum to ensure that all pupils are challenged to meet the Expected Standard as a minimum, with many pupils being challenged to achieve a Greater Depth Standard. You can see below that we have exceeded both Hampshire and National averages for our pupils at both the Expected Standard and Greater Depth Standard in all subjects. In Year 1 pupils sit a ‘Phonics Check’ where they are asked to read through a series of words, some fictional and some real, using their decoding skills to help them pronounce them correctly. For 2017-18 the pass mark was to say 32 out of 40 words correctly. For pupils who did not pass the check in Year 1, they will resit in Year 2 and have additional support to help them apply their sounds. You can see that we have exceeded National averages for 2017-18 and are only fractionally behind the average for Hampshire, which we are hoping to exceed this year. At the end of Year R all pupils are assessed against the areas they have been taught this year, including Reading, Writing, Maths, Understanding the World and many more. The 3 assessment types your child could achieve are ‘Emerging’, ‘Expected’ and ‘Exceeding’. If your child achieves ‘Expected’ or ‘Exceeding’ in all of the following areas: Personal, Social and Emotional Development, Physical Development, Communication and Language, Literacy and Mathematics, then they will have achieved a ‘Good Level of Development’. You can see below that we have exceeded both Hampshire and National averages for the percentage of pupils achieving a Good Level of Development. For further information, please speak to your child’s class teacher.